Phygelius are evergreen shrubs, usually grown as herbaceous perennial plants in cooler climates. Phygelius have modest yet attractive oval-shaped foliage and large clusters of tubular-shaped flowers that flourish during summer and even into autumn. These plants are best suited to flower beds and borders within a city, courtyard, cottage or informal garden. 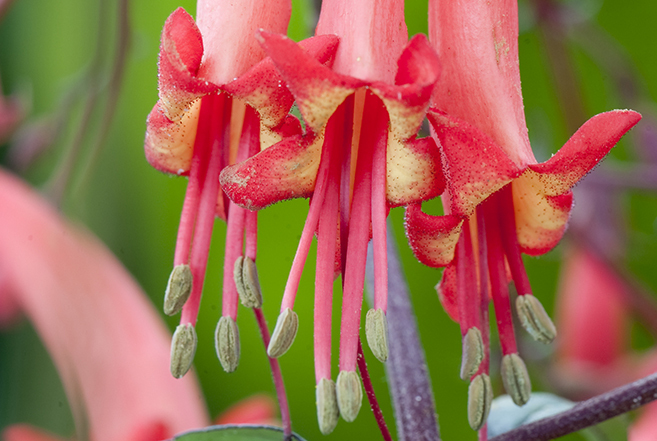 You should expect to see Phygelius grow to an approximate height and spread of 1.5m (5’). Phygelius are best planted in well-drained soil of loam, chalk, clay or sand within an acidic, alkaline or neutral PH balance. Dig a hole that is the same depth and width as the root ball. Space companion plants 40cm (16”) apart and mixing a generous amount of peat moss to the planting area, mixing thoroughly to keep the ground moist. Water thoroughly and deeply to settle the soil into place. Phygelius are best positioned in an area of full sun. Provide a generous layer of mulch to the base of your plant to protect it from the cold, and to deter weeds. After flowering, cut back to ground level so that it will re-shoot each spring. Provide water throughout periods of drought or when the soil is dry to the touch. It is possible to propagate Phygelius by seed sown in containers within a cold frame during the spring. Alternatively, you may wish to take softwood cuttings during late spring.